G There are 54 products. 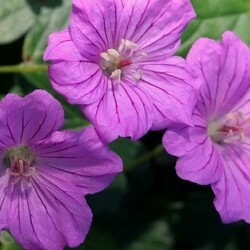 Spreading geranium. Magnificent palmate foliage, golden early season. The magenta flowers veined black successive constantly all summer. We can let it run or climb to the assault of a shrub or better of a rose bush. 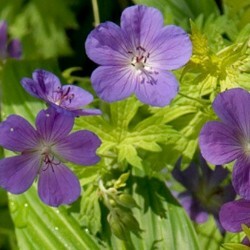 Geranium 'Anne Thomson' (Geranium) Geraniaceae Rarely offered this little sister of Geranium 'Ann Folkard' is a geranium in more compact habit forming beautiful golden regular clumps. Even long magenta blooming black eye. Good earth fresh garden. A hybrid created by blooms. Vigorous and very compact and just as floriferous than its big sister rozanne. , It will become necessary to fill the planters and pots and massive. Large blue flowers blue white heart. Obtaining bloom in 2012. 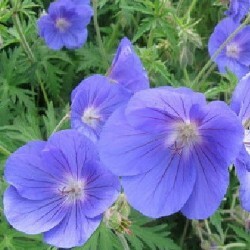 Large and robust geranium ground cover, perfect feet roses. 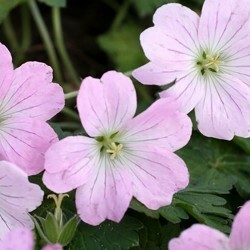 Soft pink flowers veined magenta. Generous and repeat flowering. Foliage with beautiful fall colors. All drained soil. 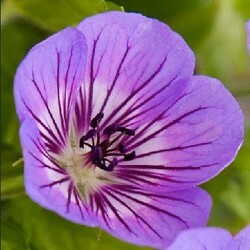 Resulting crossing dun dun geranium geranium pratense and clarkei this geranium to the generous pure blue flowering white heart has become a safe bet. Cut leaves. Cast off to a great recovery. Rich soil, but drained clay. 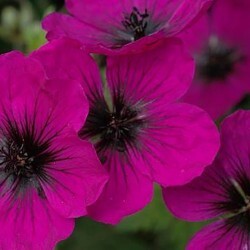 Large-flowered geranium 5 cm magenta pink veined with dark purple heart. Sumptuous bloom that lasts more than four months. Creeping. 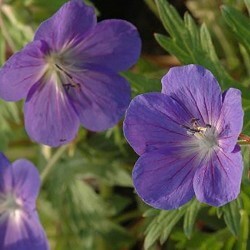 Vigorous it resists drought, but some prefer a good garden soil. G of a hybrid. Riversleaianum, he inherited all the characteristics: abundant flowering, which lasts all summer jusquaux jellies, semi-evergreen. These pearly pink flowers are larger than the present case type. Borders or pots. All-drained soil, supports drought. 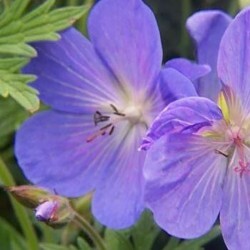 A product of orion geranium, it grows more vigorously and give larger flowers (5 cm) deep blue white heart over a long period. Deciduous blushing autumn. Massif. Good soil drainage. A g g.wallichianum little brother. Rozanne equally floriferous. Deciduous, golden early season. 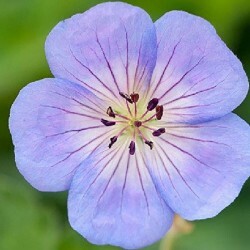 Large blue-violet flowers with white veins purple heart. Massive, hotpots. Good ground drained. 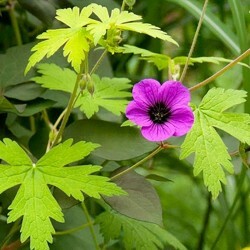 A robust and rustic classic geranium (g x g himalayense pratense..). Superb and abundant light blue flowering. Foliage (void) cut deeply dye fall. 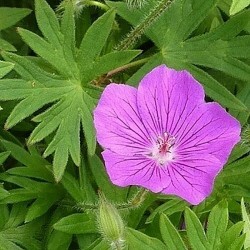 A solid geranium ground cover resulting dun g. Sanguineum and probably dun g.wlassovianum. 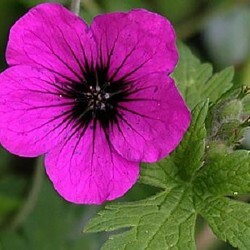 Large flowers (4-5 cm) magenta pink veined with purple. Dense semi-evergreen forming beautiful tussocks. Easy. Good garden soil drainage.